Apollo 17 Saturn V on launch pad 39A at dusk on Nov. 21, 1972 ca. 2+ weeks before launch (NASA photo KSC-72PC-589). 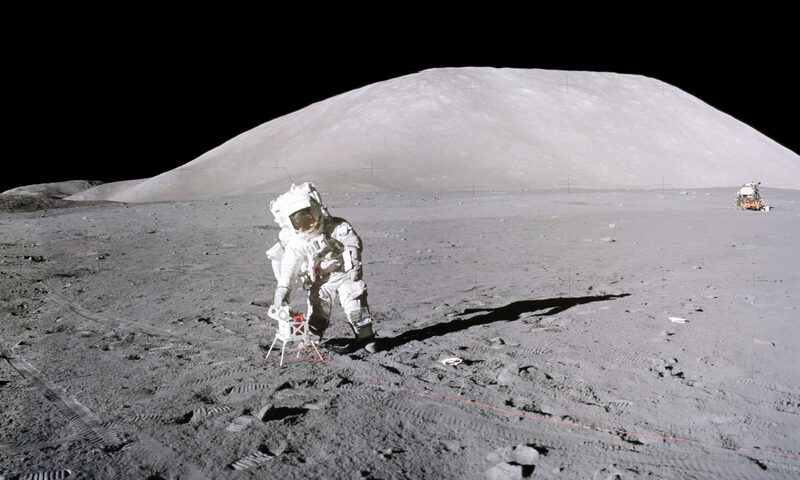 I have undertaken a long-running project to write a personal account of the Apollo 17 Mission on which I flew to the Moon as the Lunar Module Pilot and scientist. This diary also attempts to integrate much of the mission’s scientific results to date with the operations that were necessary to explore the valley of Taurus-Littrow. “30 Days and Counting” constitutes the first installment of Apollo 17: Diary of the Twelfth Man, commemorating the 45th Anniversary of the December 7, 1972 launch of the Apollo 17 Mission. “30 days and Counting” is Chapter 4 of the Diary with other chapters to follow as soon as time permits, some of them out of sequence. It was chosen as the initial installment because the interval between its online publication date and the launch date coincides with the chapter title. “30 Seconds and Counting”, Chapter 5 of the Diary, is the second installment. It picks up where Chapter 4 left off with a hold of 2 hrs 40 min before the actual launch. Descriptions are given of the launch delay problems, the various critical stages of the launch sequence into orbit, activities associated with preparation for TransLunar Injection (TLI), and TLI and extraction of the Lunar Module Challenger from the S-IVB stage. “The 12th Man”, Chapter 9 of the Diary, constitutes the third installment. This chapter chronicles the moments after touchdown of the LM Challenger in the Valley of Taurus-Littrow; safing the spacecraft systems and preparing it for an extended stay; the first views of the surface from the windows; donning the spacesuits; and stepping out onto the lunar surface for the first time. Chapter 10, “A Valley on the Moon”, the fourth installment of the Diary, picks up where Chapter 9 left off with the intrepid explorers having just emerged from the Lunar Module Challenger and stepped out onto the surface. This chapter chronicles EVA-1: the unloading of equipment outside of the LM; assembling the lunar rover (LRV, testing and loading it with the geological tools that will be needed; organizing the ALSEP packages for easy transport, and carrying them to the deployment site; emplacing the various experiments around the central ALSEP transmitting station; performing core drilling; the drive to the first geological exploration site at Station 1, and conducting investigations and samplings along the way; the lay-out of the cables for the cross-beam antenna of the SEP transmitter; and finally the return to the LM and close-out of EVA-1. A wide variety of sources have contributed to the preparation of this diary, including transcripts; checklists; stowage records; training schedules; USGS and NASA records of field simulations; books published by other Apollo participants and historians; a vast array of scientific publications; and, of course, the author’s memory and personal field geological perspectives. A complication to reading diaries is their instantaneous jump from subject to subject. In addition to the liberal use of endnotes, distinguishing between subjects and sources is aided by the consistent use of different font styles and colors in the text. The first endnote of each chapter repeats the explanation of these color codes.